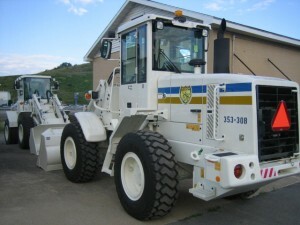 The City of Charleston owns two HL740TM Tool Master loaders. 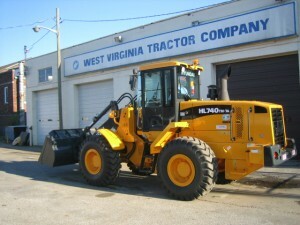 The WVDOH has taken delivery of 142 Hyundai HL740TM and HL730TM Tool Master loaders. 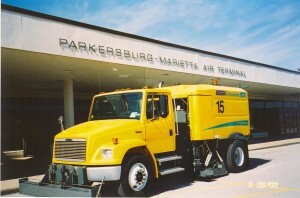 The Parkersburg-Marietta airport purchased this Elgin Crosswind sweeper with a glycol recovery system and runway magnet The Tri-State Airport also owns one. 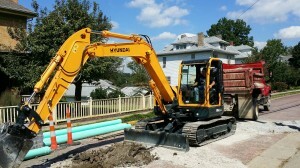 The Morgantown Utility Board took delivery of a new HYUNDAI Model R80CR-9 hydraulic excavator with quick change buckets. 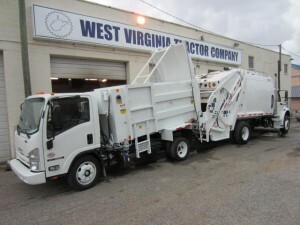 The City of Charleston just took delivery of two LEACH Alpha-III refuse packers. They will use them as single stream recycling trucks. 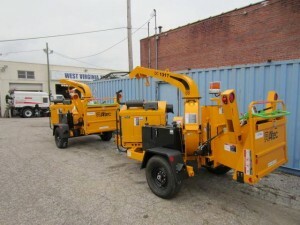 New Altec DC1317 brush chippers delivered to the City of Charleston, August 2014. 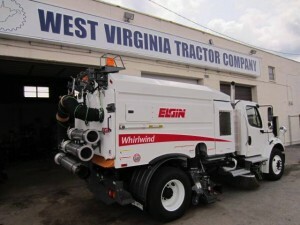 New Elgin Whirlwind MV street sweeper delivered to the Village of Barboursville, August 2014. 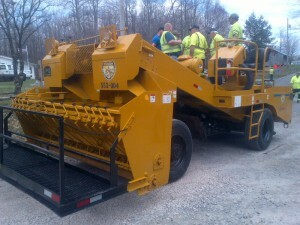 The WVDOH has purchased five Etnyre self propelled chip spreaders. 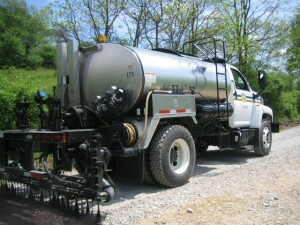 The WVDOH has purchased dozens of Etnyre asphalt distributor trucks over the last 35 years. A Pak-Rat side loading satellite packer unloads into a Leach Alpha-III packer. 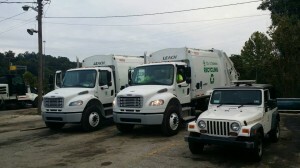 The City of Charleston owns 20 of the Leach packers.